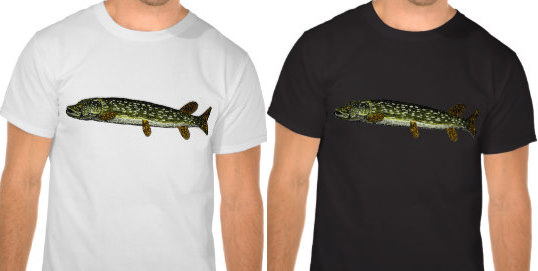 There are still more in progress, but I did add a few designs to the zazzle shop. These are all based on woodcuts from 1833. All are available on just about any size and color of shirt, including baby onesies and men’s and women’s styles. 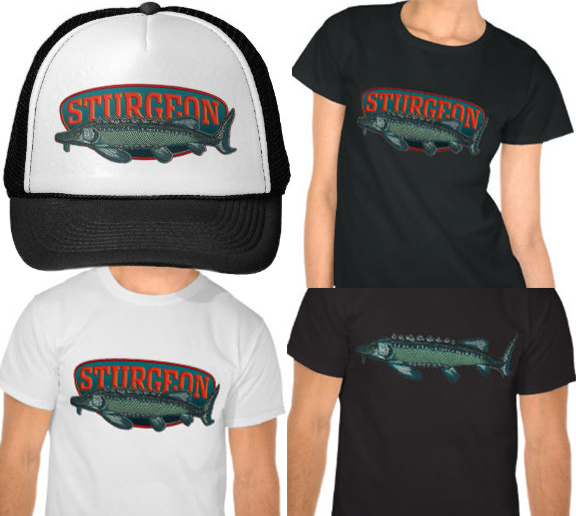 Who can forget the iconic sturgeon logo of the famous (imaginary) Sturgeon Mfg. Co., makers of heavy equipment that built this country? 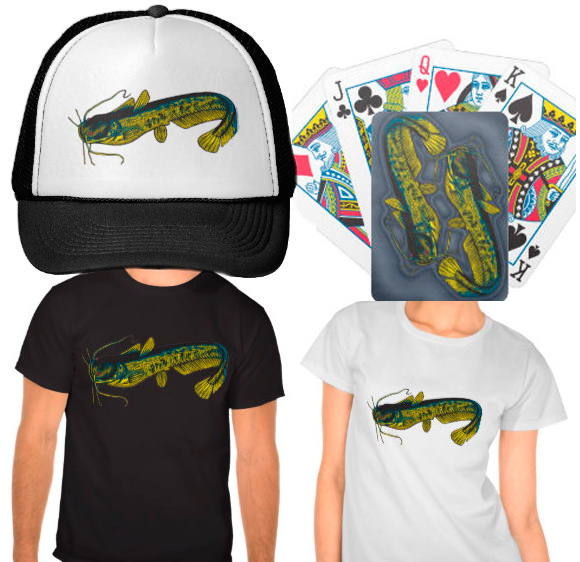 Everyone loves bullheads. This one’s good to wear or gamble (or play Go Fish) with. In the 1833 book, it’s called the Horn Pout. 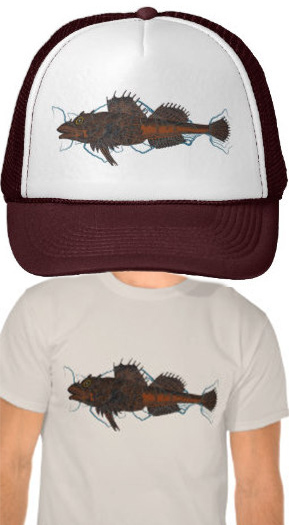 Show that you mean whatever you say: wear a pike or a sculpin. Sculpin: if the word “tough” were incarnated as a fish. If you like scales or fish faces, wear the rudd. Tagged acipenser, bullhead, catfish, esox, pike, rudd, sculpin, sturgeon.